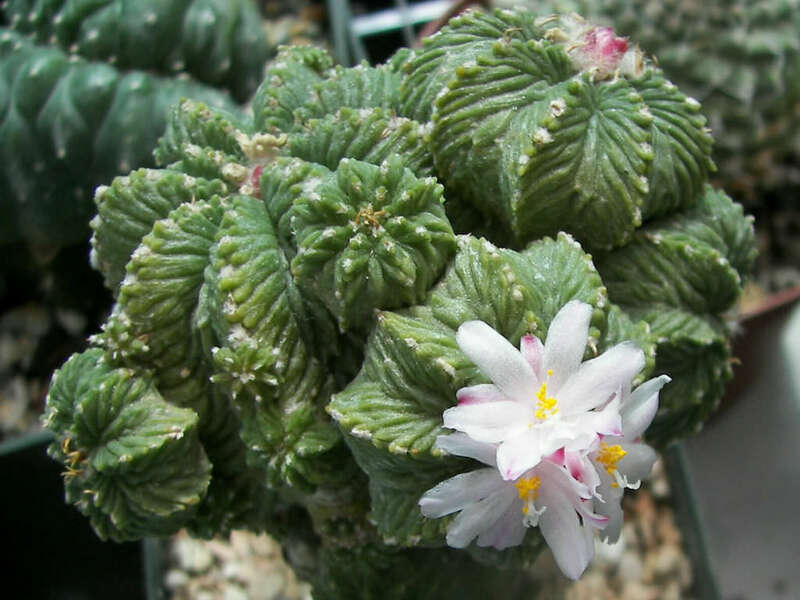 Aztekium ritteri is a small cactus, up to 2 inches (5 cm) in diameter, with 9 to 11 ribs, which typically have transverse wrinkles. 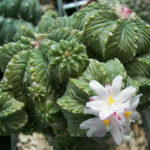 Its color varies from pale green to grayish-green. 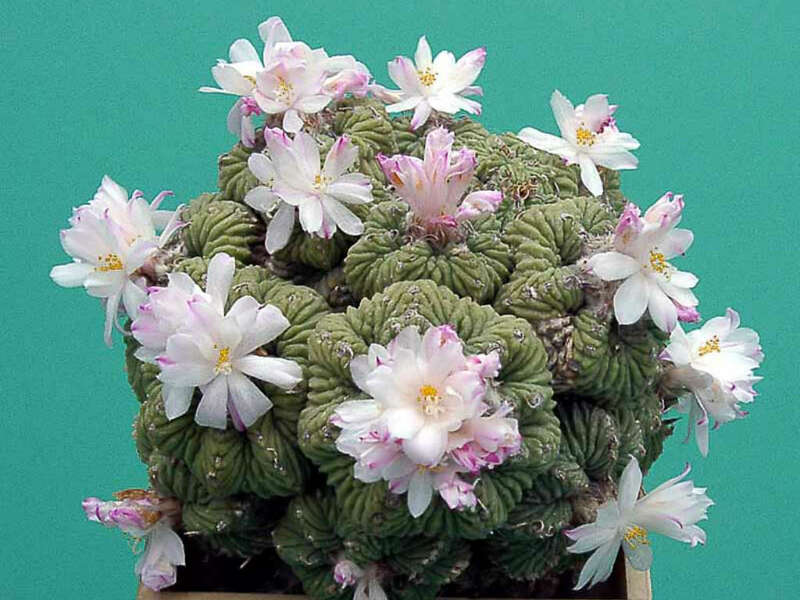 The center of the cactus contains a lot of white wool. 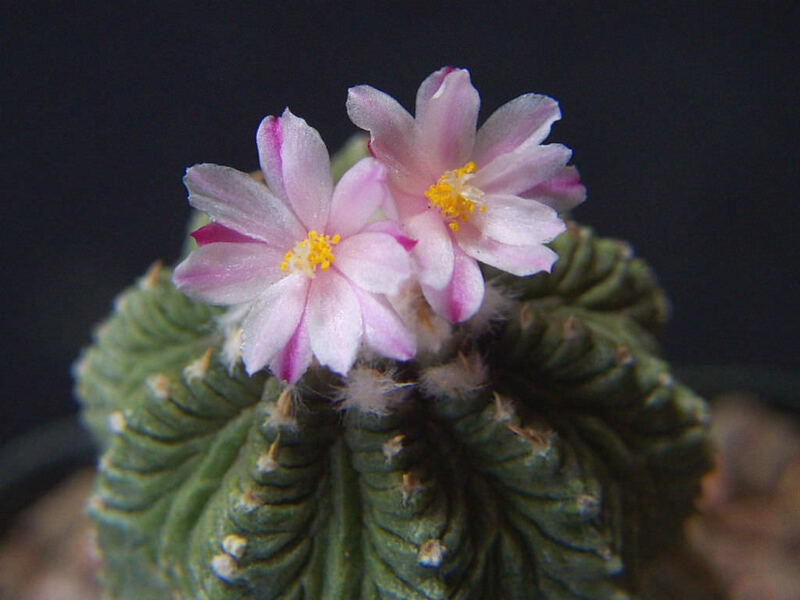 Flowers are small, up to 0.4 inches (1 cm) wide, with white petals and pinkish sepals. It blooms throughout the summer. 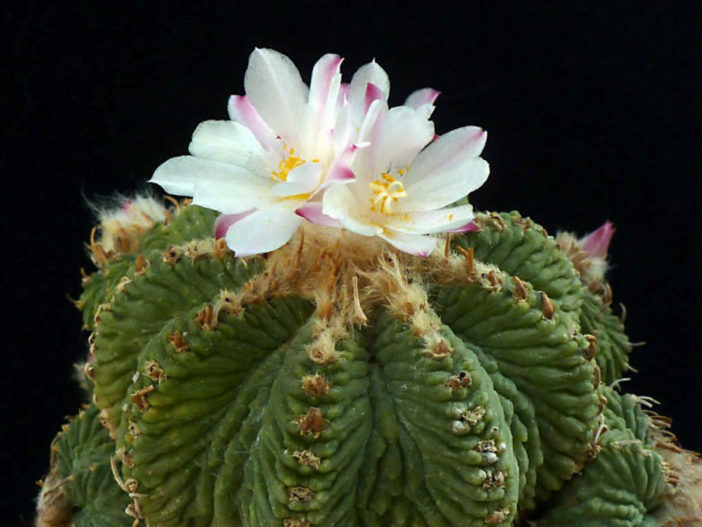 These flowers are followed by small pink fruit that open when ripe and let out tiny seeds. 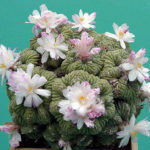 Aztekium are by far the most challenging and difficult cacti to grow. 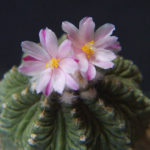 They are having extremely slow growth, probably the slowest of the entire cactus family. They usually take several years for growth to be even noticeable. Once a specimen is established on its own roots it is no trouble to keep it, and becomes an easy plant to manage.